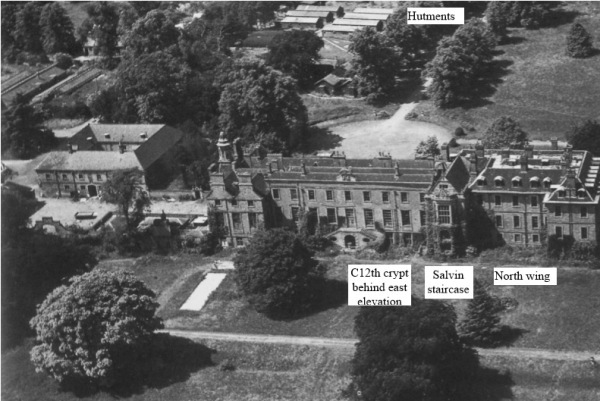 Lenton Hall was a country house that found itself consumed by the expansion of Nottingham during the 20th century. It also had a change of name but outlasted many properties which endured similar circumstances. It was built in the-then agricultural village of Lenton, located to the west of Nottingham. The house was built for John Wright (1758-1840) in 1804. He was descended from the eminent Wright family whose standing around Derbyshire and Nottinghamshire is still fabled today. His grandfather, Ichabod Wright (1700-1777), had been a merchant and ironmonger who made his fortune founding a Nottingham bank. This, in turn, passed to his two sons and eventually arrived at the hands of John Wright and his cousin Ichabod. John also inherited land close to Nottingham as well as Derbyshire estates at Ripley, Hartshay and Riddings¹. John Wright married Elizabeth Beresford in 1791. A year earlier her father, Francis Beresford, had started an iron producing business with Benjamin Outram. The influential John became a part owner in this enterprise that eventually became the famous Butterley Company. John Wright married Elizabeth Beresford in 1791. A year earlier her father, Francis Beresford, had started an iron producing business with Benjamin Outram. The influential John became a part owner in the enterprise that would eventually became known as the famous Butterley Company. John and Elizabeth lived at Willoughby House, at the top of Low Pavement, in Nottingham. In 1798 he purchased around 130-acres of land at Lenton with the purpose of building a new family home. 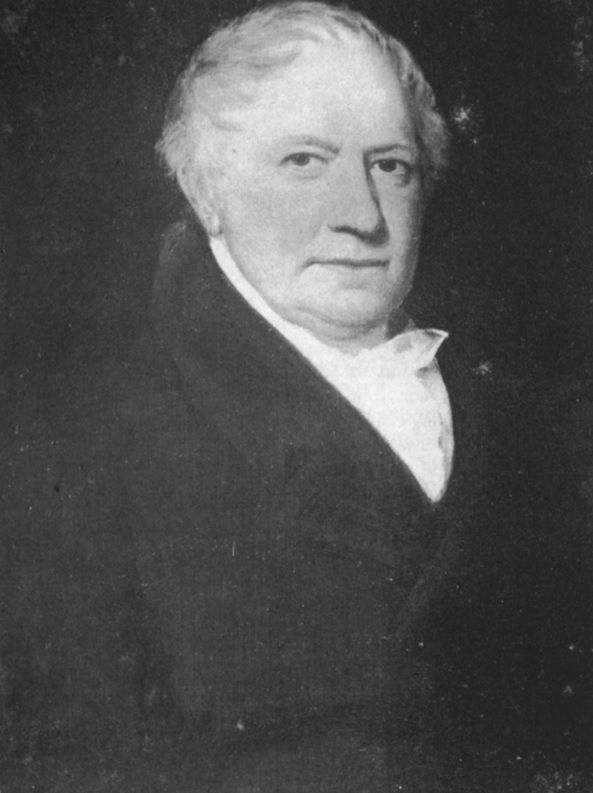 John appointed architect William Stretton (1755-1828) who, with his father Samuel, were principal builders and architects in Nottingham. Lenton House was completed about 1804 but there are some suggestions it may have been finished as early as 1802¹. John and Elizabeth Wright moved to Lenton House with their only son and four daughters. After the move two more boys were born, the eldest being Francis Wright (1806-1873). Francis looked destined for a career in banking until an extraordinary chain of events. In 1828 his older brother, also called John, died and Francis became heir to the family fortune. Two years later his father gifted all his shares in the Butterley Company to him. 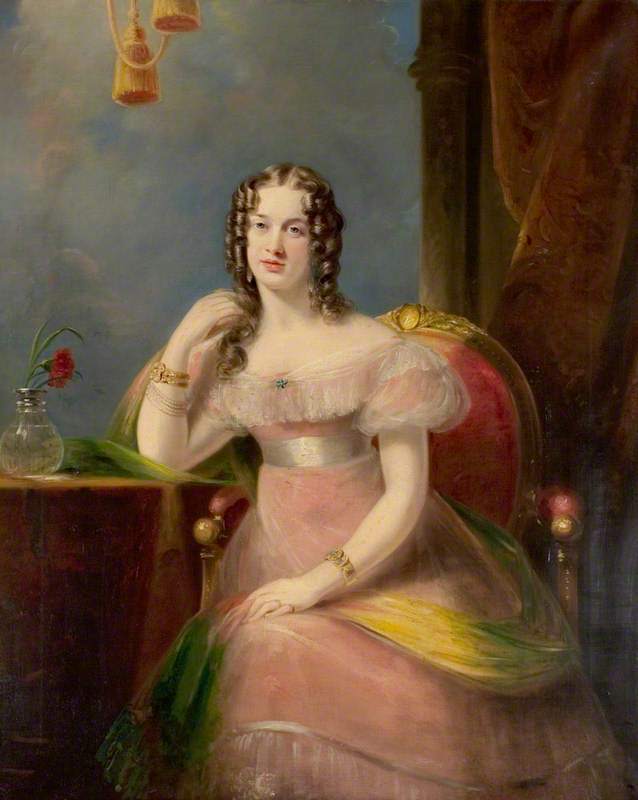 They were worth £110,000 and allowed him to marry Selina FitzHerbert (1806-1888), from Tissington Hall, and set up home in The Park at Nottingham¹. By 1840 Francis Wright was resident at Lenton House as well as being custodians of Langar Hall to the south-east of Nottingham. John Wright had moved to nearby Lenton Firs and died in April. He left estate worth £18,000, a paltry amount for a man of his standing, but the probability was that his wealth had already been dispersed amongst his children¹. 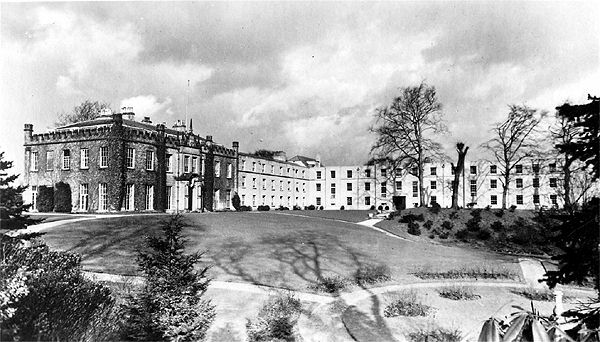 Francis Wright’s stay at Lenton Hall (as it was now known), was somewhat brief. He desired a grander and more up-to-date house and so commissioned the architect Henry Isaac Stevens to build him a new property near Ashbourne in Derbyshire. 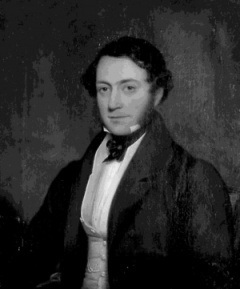 Francis moved to Derbyshire in the early part of 1845 where he was able to supervise the construction of Osmaston Manor. Lenton Hall was left unoccupied and stripped of its furniture but, as we will see, the Wright family hadn’t quite turned their back on it. 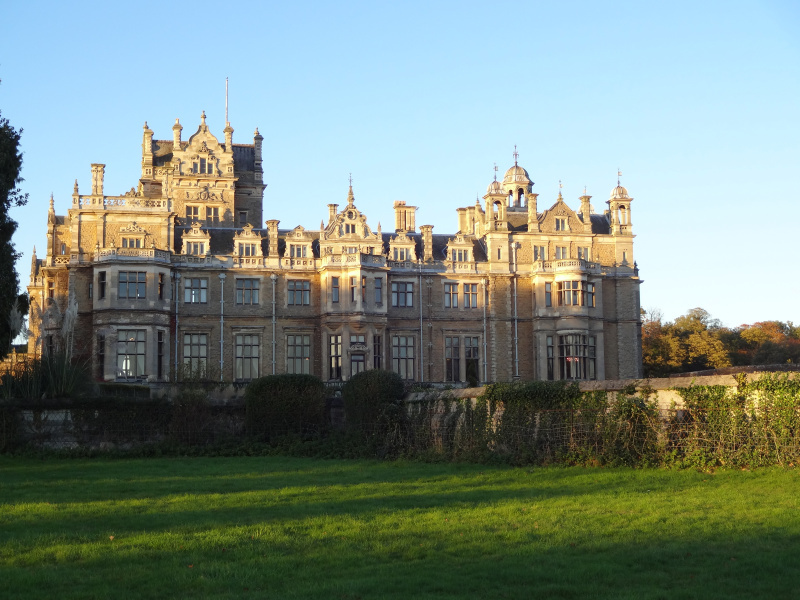 The estate was bought by Digby Willoughby, 7th Baron Middleton (1769-1856) from Wollaton Hall. He had no wish to live at Lenton and doubtless saw the neighbouring estate as protection from Nottingham’s rapid expansion. Willoughby set about renovating Lenton Hall and lined up a tenant, Captain Anlaby Legard, to move in as soon as repairs were completed. 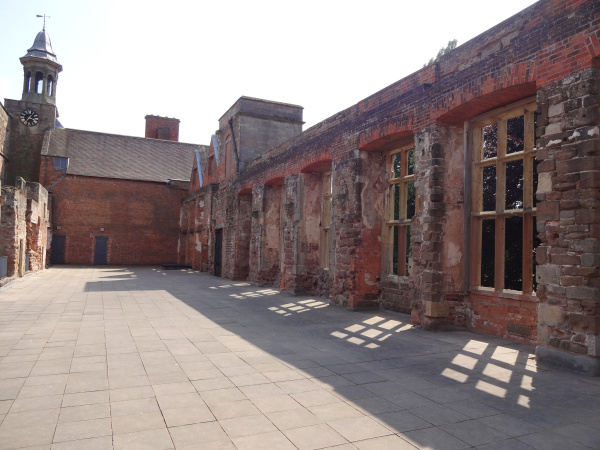 However, in July 1845, a fire nearly caused the destruction of Lenton Hall while the property was being decorated. In the aftermath it was discovered that windows and shutters, and about fourteen feet of ceiling had been completely destroyed. The fire had also spread along the whole of the bedroom floor and up the walls to the attic. The following year James Anlaby Legard (1805-1869), a descendent of the long-established Legard family of North Yorkshire, finally moved in. He was a Captain in the Royal Navy but also an expert agriculturalist, a practice he put to good effect on the estate. He rented Lenton Hall until 1853 before moving to his Yorkshire estate at Kirby Misperton. The next tenant was John Morley, a cotton spinner and doubler, who resided at Lenton until 1860. Between 1861 and 1867 the estate was leased to Lady Preisig Wildman (1801-1877). She was the daughter of F. Preizig of Appenzal in Switzerland and in 1816, aged 15, had married Thomas Wildman. Colonel Thomas Wildman (1787-1859), a military man of the 7th Hussars, had inherited his father’s estates in Britain and sugar plantations in Jamaica. In 1817 he purchased Newstead Abbey from Lord Byron, an Eton school friend, and was reputed to have spent £100,000 restoring the house and gardens. On his death his widow was obliged to sell Newstead and rented Lenton Hall from Lord Middleton until 1867. 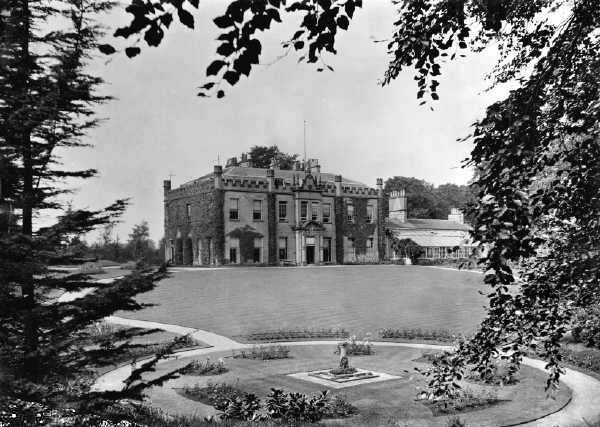 The Middleton estates were now run by Henry Willoughby, 8th Baron Middleton (1817-1877), who’d been considering the sale of a number of properties, including Lenton Hall, Lenton Firs and Lenton Abbey. The properties finally went to auction in June 1867. The spectators were under no illusion that the land would ultimately be used for building purposes. Mr Pott wanted to offer the greater portion of the estate for agricultural purposes but he realised that a locality so near a town would command high prices. 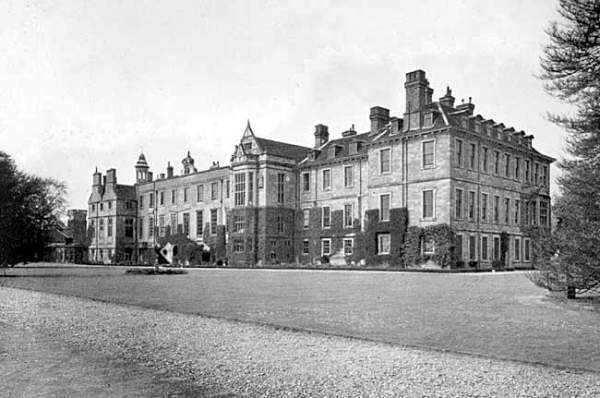 He praised Mrs Wildman for the improvements she had made while at Lenton Hall and described it as a first-class mansion with every convenience for a gentleman’s family, together with entrance lodge, park, with wood, arable and meadow land to the extent of 155 acres. The lot was put up for £20,000 but there were no bidders and the estate remained unsold³. In 1869 Henry Smith Wright (1839-1910) bought Lenton Hall from Lord Middleton. He was the son of Ichabod Charles Wright of Mapperley Hall, his mother being the Hon. Theodosia, daughter of Thomas Denman, 1st Baron Denman of Dovedale. He had been educated at Cambridge and then called to the bar. Henry was also a banker with I and I.C. Wright and Co and would become an M.P. for South Nottingham. He married Mary Jane Cartledge in 1865 and later Josephine Henrietta Wright, his first cousin, in the same year he purchased Lenton Hall. Henry was also a relative of Francis Wright, now living out his years at Osmaston Manor. Lenton had been part of the County of Nottingham but in 1877 was absorbed into the town. It would seem that nothing could stop its enhusiastic growth. 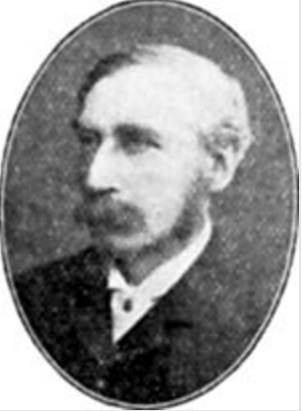 Henry Smith Wright, approaching retirement from the bank, decided to leave Lenton Hall and move to Hampshire in 1878. 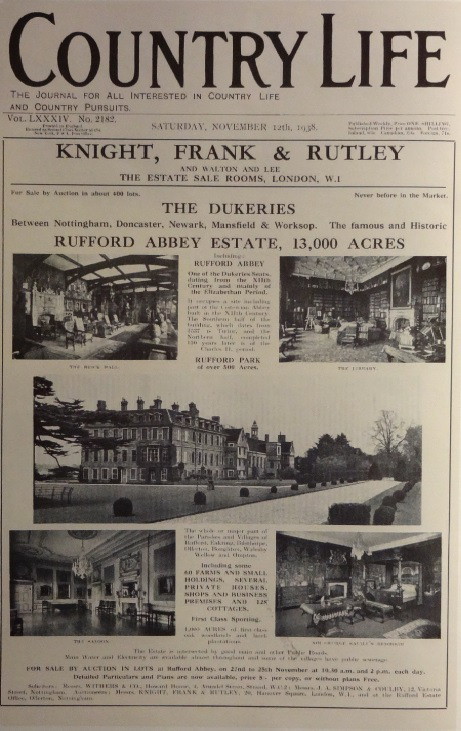 He sold the house and around 58 acres of estate to his brother, Frederick Wright (1840-1916), a partner with I. and I.C. Wright and Co, who was married to Ada Joyce Bateman. Frederick was a godly man and well known throughout the Southwell Diocese. Throughout his life he was identified with commercial, philanthropic and religious life throughout Nottinghamshire. He worked on behalf of the Church of England improving the lives of fellow citizens with education, social and religious means. He was a vicar’s warden at Lenton for 25 years and conducted a weekly bible class for young men. In 1886 he had been appointed Justice of the Peace and became one of the oldest serving members of the magisterial bench. 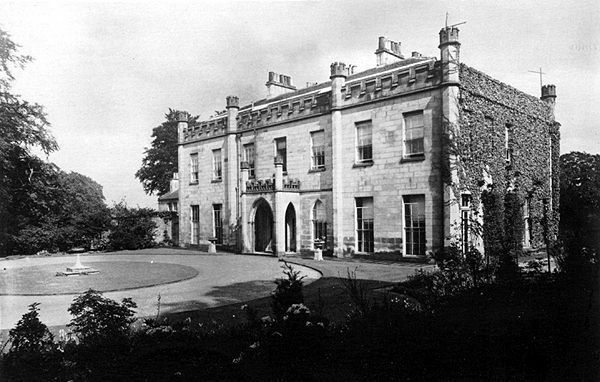 Frederick disposed of certain portions of the estate before attempting to sell Lenton Hall in 1902. He failed in attempts to find a private buyer and offered it for public auction which failed to reach the reserve price. One bidder was Albert Ball (1863-1946), a former plumber and then estate agent, who managed to convince Frederick to sell it privately. His intention was to split the land up for building purposes and erect houses of ‘excellent superior character’ with half an acre of land to each house. The purchase was made in 1903 and Ball managed to sell a number of building plots. Lenton Hall and its reduced seven-acres of land remained unsold and would remain this way until the following year⁴. 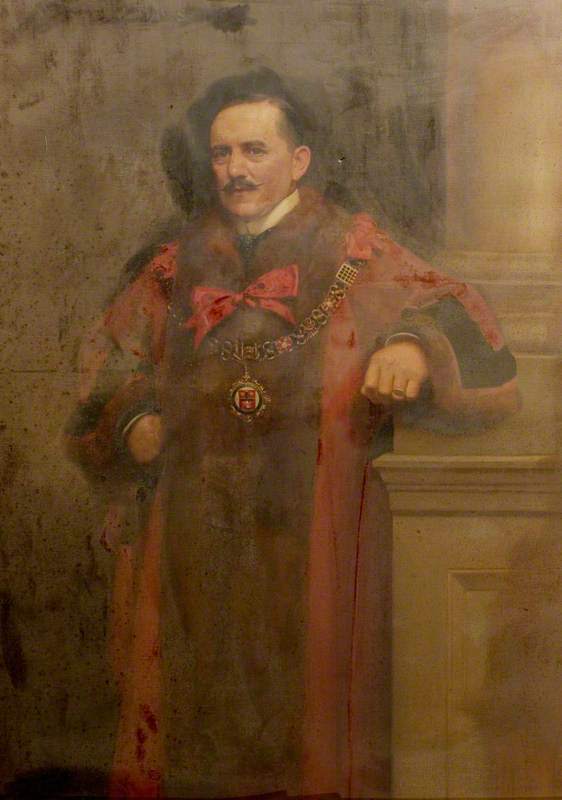 Ball became Mayor of Nottingham in 1909, was knighted in 1924 and became Lord Mayor in 1935. He had expertise in buying old country houses for redevelopment. 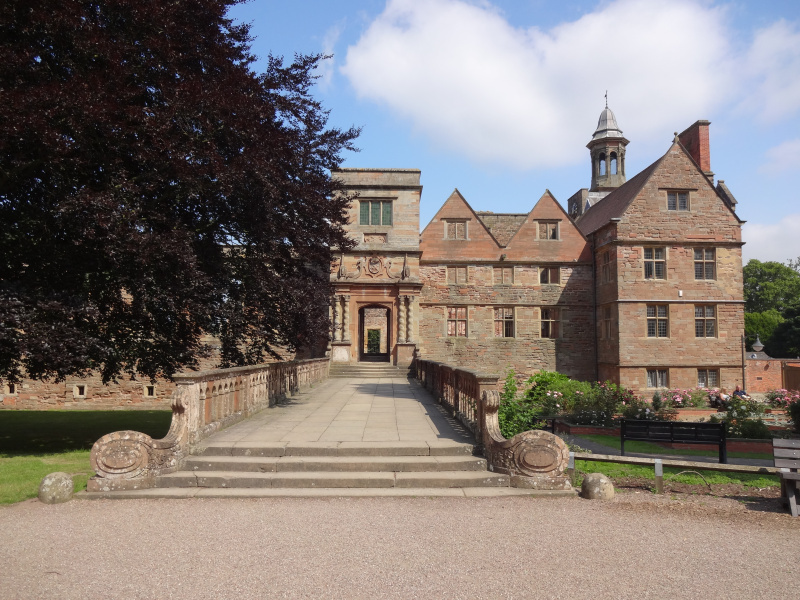 Amongst his purchases were Sedgley Park, Bunny Hall, West Hallam, Kirk Hallam, Papplewick Hall, Tattershall castle, Willesley Castle, the Stanstead estate, Bulwell Hall, Upton Hall and Rufford Abbey. He was also the father of Captain Albert Ball, V.C., of the 1914-18 war. In 1905 he remodelled the south façade of Lenton Hall with Greek, Baroque and Jacobean features. However, Bond’s stay at the hall was tainted by ongoing disputes with neighbours over rights of access. He lasted until 1909 before selling it to Edward Powell, a man who similarly enjoyed confrontation, in particular with William Hemsley of nearby Lenton Mount. 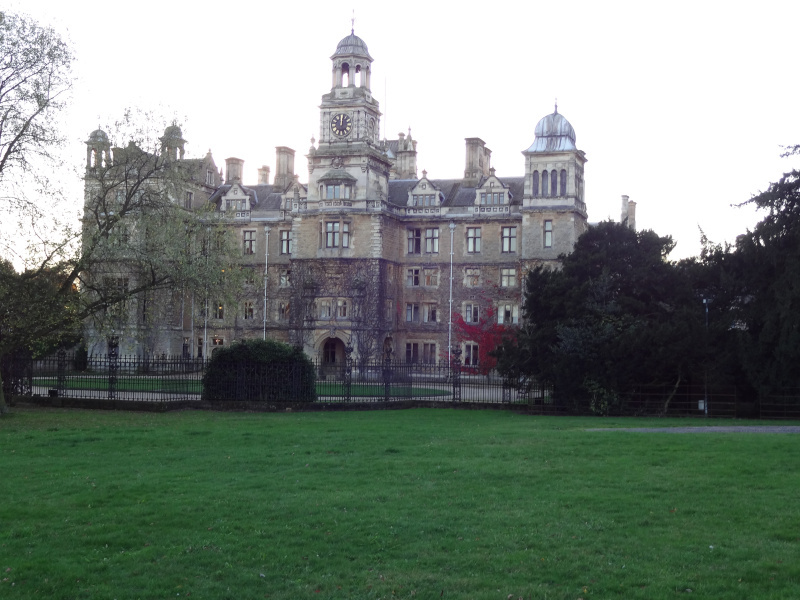 The hall was finally sold to Charles Alfred Hingston (1875-1959) in the same year. He had previously lived at The Cliffe House at Radciffe-on-Trent and was a Nottingham lace manufacturer linked with Gifford, Fox and Co, specialising in the production of brown lace. He became a director in 1910 (the Fox in the company title was his uncle William Francis Fox) and found Lenton Hall ideal for a man of his standing. Hingston became councillor for Castle Ward in 1914, was on the Nottinghamshire County Cricket Club committee, became Deputy Lord Lieutenant of the county in 1944 and was a Major in the territorial army. He remained at Lenton Hall until 1921 when he sold the house and moved to Barton Lodge in Ruddington. 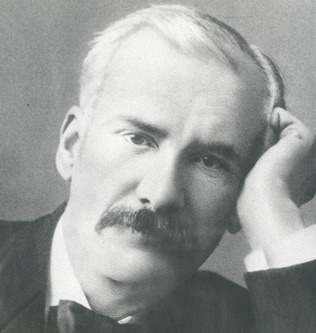 By 1921 the remaining parts of the Lenton estate were bought by Sir Jesse Boot (1850-1931), who had built The Boots Company into a national chain of chemists. Boot had money available after selling the company to the American-based United Drug Company in 1920. John Davison Barnsdale (1878-1960) had married Helen Bowden, daughter of Sir Frank Bowden, the founder and chairman of the Raleigh Cycle Company, where he served as a director. Barnsdale had fought in the Great War with the Lancashire Fusiliers and was a prolific sportsman playing amateur football for England and cricket for Nottinghamshire County Cricket Club. He remained at Lenton Hall until 1929. Three years later the university announced ambitious plans to extend Lenton Hall even further. The extensions included 125 single-study bedrooms, dining hall, common room, kitchens and staff quarters. Building work started in 1935 and would not be finished until 1937. 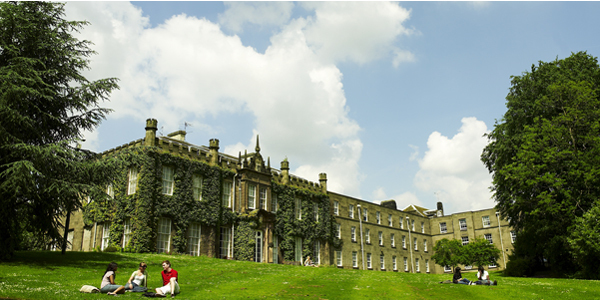 The enlarged building was formally opened by the Duke of Portland, president of the college, in January 1938. He was assisted by John Boot, 2nd Baron Trent, whose father had done so much financially for the institution. By this time the university had renamed Lenton Hall as the ‘Hugh Stewart Hall of Residence’, in recognition of the late principal, Hugh Stewart (1884-1934), who had been Principal of University College, Nottingham, between 1929 and 1934. 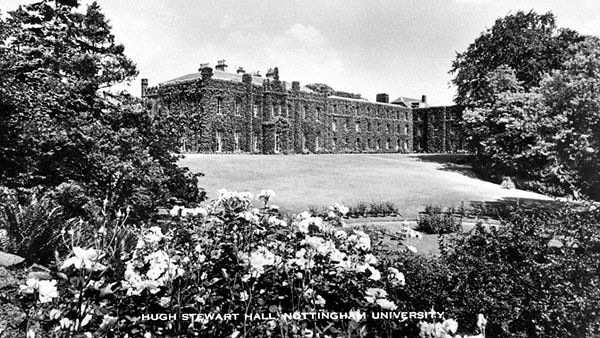 The Hugh Stewart Hall of Residence was extended again in 1969. 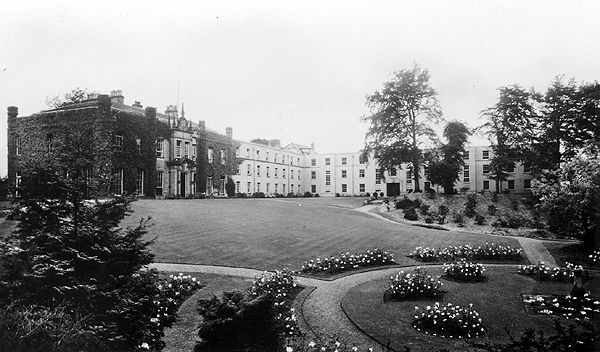 Today the original Lenton Hall, known as the Warden’s House, forms part of the Nottingham University campus with little evidence of its former glory as a country house.